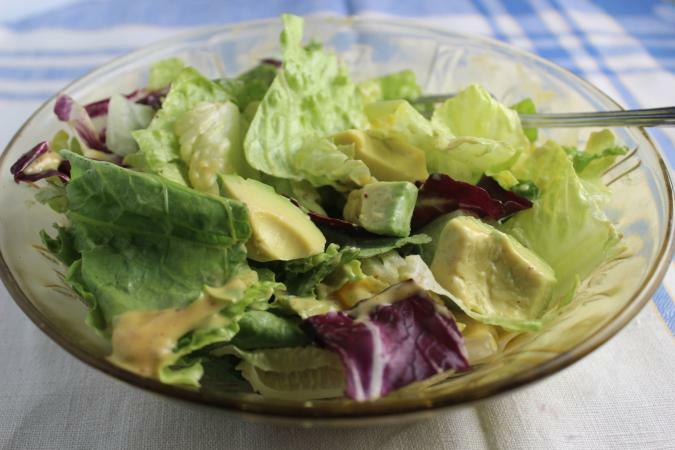 Salads can be a healthy choice for diabetics as long as you follow a few rules. Make sure you use the freshest ingredients and choose healthy ingredients that are low in carbohydrates. Remember all carbohydrates should be restricted on a diabetic diet, not just sugary foods. Add lots of vegetables and lean meats, such as chicken and fish, to your salad recipes. 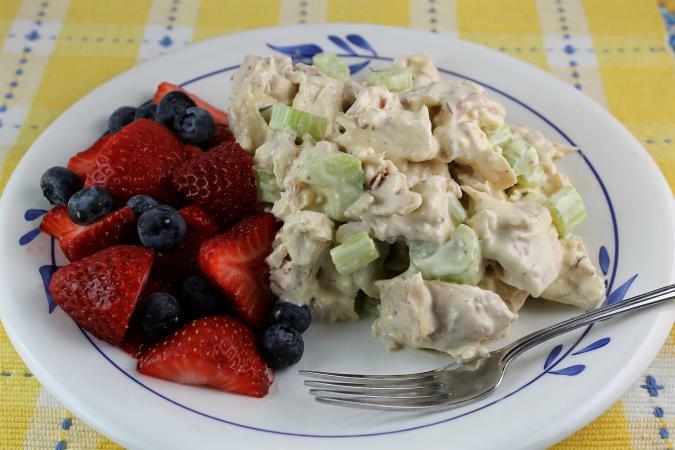 Virtually everyone loves chicken salad. This recipe is very low in carbohydrates. Lean meats like chicken that contain lots of protein are a good choice for diabetics, since protein can help repair cell damage. This low-fat salad is full of flavor from mustard, lemon juice, and herbs. Serve it on dark leafy greens for even more nutrition. Remove the meat from the cooked chickens, discarding the skin, and cube. Add to a large bowl with the celery and pecans. Combine all the dressing ingredients in a medium bowl and mix with a wire whisk until combined. Pour the dressing over the salad ingredients and toss to coat. Cover and refrigerate the salad for two to three hours to blend flavors before serving. 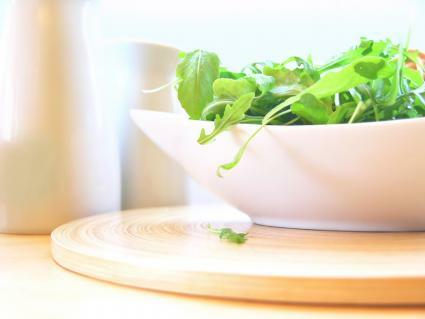 Dark leafy greens are a great source of fiber and nutrients, such as iron and calcium. Diabetics should eat lots of foods high in fiber. Choose greens like kale, Romaine lettuce, mesclun, chard, and spinach for your salads. Likewise, avocados have lots of healthy fat that can fill you up and protect your heart. This salad is very high in vitamins A and C (more than 50 percent of daily value), nutrients essential for good health. You can use this dressing for any other salad, as well. Combine the spinach, romaine, cabbage, and butter lettuce in a serving bowl and toss gently. In a small bowl, combine the dressing ingredients and mix well with a wire whisk. When you're ready to eat, prepare the avocados and add them to the salad. Drizzle with the dressing, toss gently, and serve immediately. Salmon contains omega-3 fatty acids, which help protect your heart and may help improve insulin resistance. Consuming this fish may reduce the risk of developing diabetic eye problems, according to a 2016 study. Likewise, colorful vegetables contain fiber and nutrients that are essential for good health. Kefir is a fermented yogurt drink that helps promote good intestinal health. You can eat pasta on a diabetic diet as long as you control amounts and choose whole grain varieties. Additionally, did you know cooked and cooled pasta contains resistant starch, which can increase nutrient absorption and can help you burn fat? 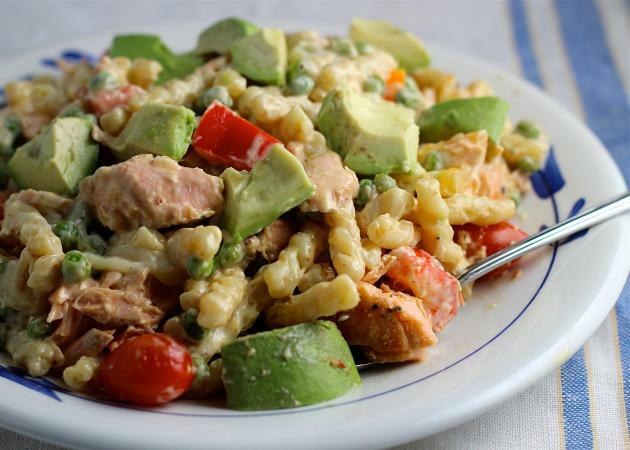 In a large salad bowl, combine the pasta, flaked salmon, grape tomatoes, bell peppers, zucchini, peas, and chopped avocado and toss gently to coat. In a blender or food processor, combine all the dressing ingredients. Blend or process until smooth. Drizzle the dressing over the salad ingredients and toss to coat. Cover and refrigerate for 1 to 2 hours to blend flavors before serving. As long as you monitor the carb count in the recipe, salads can be a wonderful part of a diabetic diet. Choose a good variety of nutritious ingredients to make your salads flavorful and healthy.